We are very lucky to have Stag’s Leap Wine Cellars visit us at the VanWineFest 2019 and pour their wines for us. Read about their achievements and wines they will be pouring in their own words. Stag’s Leap Wine Cellars, notably known for being the winery that won the Cabernet Sauvignon competition in the 1976 Judgment of Paris, was founded in 1970 and is considered a Napa Valley first-growth estate. In 1996 a bottle of the history-making 1973 S.L.V. Cabernet Sauvignon is placed in the permanent collection of the Smithsonian’s National Museum of American History. Our goal is to create wines of classic beauty — wines with balance, complexity and harmony. Our signature style has often been described as “an iron fist in a velvet glove,” a reference to the artful balance between ripeness and restraint, softness and structure, that yields Napa Valley wines of exceptional beauty and long life. The heart of Stag’s Leap Wine Cellars is undoubtedly the estate vineyards, and extraordinary care is taken to assure that a wine’s aroma, flavour, and texture express a sense of place. This care is manifested in our winery’s sustainable farming practices. Using a number of tools and best practices, our goal is to ensure that the vineyard environment is in harmony with the natural environment. By embracing, rather than competing with Mother Nature, we seek to create a healthy eco-system, one that includes vibrant vineyards destined to produce high-quality grapes and outstanding Napa wines for years to come. We utilize a number of integrated pest management (IPM) techniques to minimize damage from pests that are harmful to grapevines in the Stags Leap District and beyond. Meet Winery Principal, Kirk Grace, Director of California Vineyard Operations at the International Festival Tasting Room and try these wines. Stag’s Leap Wine Cellars Aveta Napa Valley Sauvignon Blanc ($46.99) – Inviting aromas of citrus, guava, lemongrass, orange blossom and hints of boxwood and tangerine. On the palate, the wine is fresh and bright with citrus flavours and a lingering finish with a touch of bright acidity. The weight, flavorful texture and acidity make this a versatile food wine. Stag’s Leap Wine Cellars Karia Napa Valley Chardonnay ($57.99) – This graceful Chardonnay has inviting aromas of pear, white peach and honeysuckle. Medium bodied, this wine has a lovely texture and delicate ripe fruit notes with hints of minerality and lemon zest on the finish. 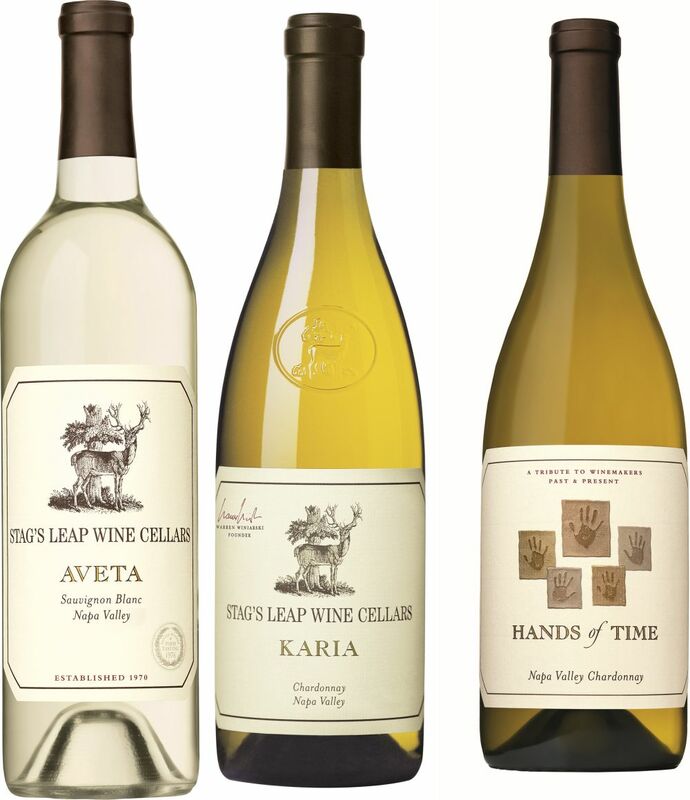 Stag’s Leap Wine Cellars Hands of Time Napa Valley Chardonnay (not currently available in BC) ($39.99) – This Napa Valley Chardonnay offers pleasing aromas of ripe Asian pear, honeysuckle, papaya and a hint of melon. The wine has a soft entry and palate full of apple, melon and citrus flavours with a kiss of oak. Stag’s Leap Wine Cellars Artemis Napa Valley Cabernet Sauvignon ($88.99) – Expressive aromas of dark berries, currants, raspberry sorbet, nutmeg and baking spices. The wine has a rich entry with round tannins and plush mouthfeel with lingering flavours of dark fruit and subtle oak undertones. 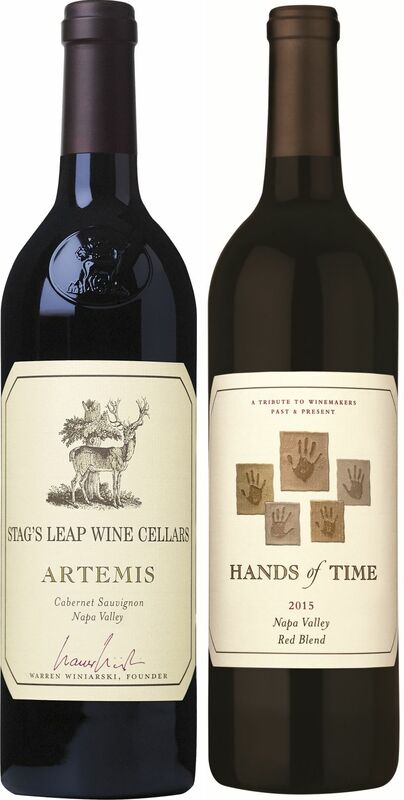 Stag’s Leap Wine Cellars Hands of Time Napa Valley Red (Trade Only) – This Napa Valley red blend of Cabernet Sauvignon, Merlot, and Syrah offer pleasing aromas of spiced plums and boysenberry with hints of tobacco and black tea. Rich in texture, this wine has flavours of currant and dark chocolate with a touch of sweet oak on the finish.